If you agree to the better formulation, you will need an One-Up Wall Rack For Ideal Sanitizer Wipes to dispense this industrial variety of cleanup solution. Though seen against a Slatwall background this one-up dispenser rack is screw-mounted, and would to any agreeable surface. 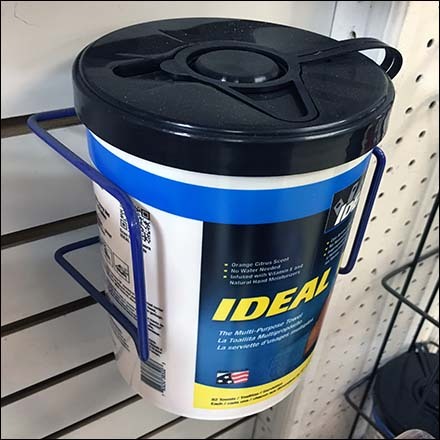 This One-Up Wall Rack For Ideal Sanitizer Wipes seen on display and for sale at Friedman Electric.